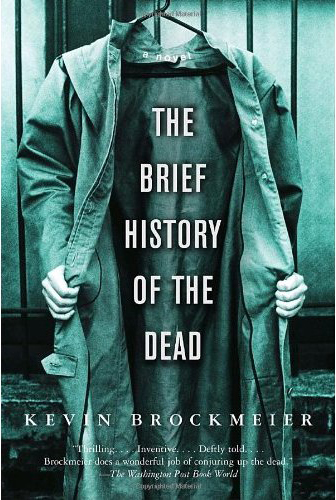 The Brief History of the Dead by Kevin Brockmeier is a lyrical, literary, speculative fiction story about the end of the world. As a deadly virus sweeps through the world, the dead are transferred to The City, an in-between place. The story alternates between happenings in The City and Laura Byrd’s struggle for survival on an Antartica expedition gone wrong. It’s soon clear that Laura is the last surviving human being on Earth. While I figured out early on how the story was likely to end, this did not lessen my enjoyment. The writing is lyrical, the characters are thoughtfully and compassionately written, the story is fantastical, and the conclusion is satisfying. The Brief History of the Dead left me with a lot of the good sort of questions about what happened and what it all means. This is not a fast, action-packed book that held me on the edge of my seat, but found the characters, the world(s) and the story compelling. If you are looking for a well-done, literary sf story, I recommend checking this one out. I loved it.